By registering on our site, you agree to abide by all of our terms of service and confirm that you are over the age of 18, or operating under parental supervision. In order to maintain a safe and helpful community for our users, we may suspend or remove, without notice, any user that we suspect of violating our terms, the rights of our users, or otherwise negatively impacting the service we provide. All decisions regarding inappropriate conduct and use of the site are solely ours. This is a European retail site. Non Euro residents may be subject to a variable cross border fee applied by their card issuer. It is your responsibility to be in possession of a valid passport and any visa that may be necessary for travel. Extra Time Online will not be held responsible for any loss or delay that may occur as a result of the passport or visa not being produced for travel. Once a purchase is made we may need to collect information about you to process the transaction, fulfil your order and provide you with the services you expect then and in the future. This information may include, but is not limited to, details such as your name, your address, your phone number and your credit card details. This information will be kept secure and is bound by our confidentiality codes. Extra Time Online offers its services over a 12 month period. Thereafter members will be subject to an annual concierge fee, variable dependent on the package purchased. This covers any and all services provided by Extra Time Online. The first year’s membership is free of charge for all NEW memberships purchased, however, the annual fee will continue to apply to all UPGRADED Memberships. All subsequent charges will be taken yearly automatically on or around the anniversary of the date of 1st purchase at the live euro conversion rate of the day. Extra Time Online's packages gives you access to worldwide holidays and as a registered Travel Agent has access to discounts of the full spectrum of travel related services - these discounts by their very nature are variable and Extra Time Online cannot guarantee any percentages off the services we provide. Extra Time Online reserves the right to make changes to the policies, products and services described in this confirmation pack and also the website at any time without notice. Anyone who uses, or makes decisions based on this information, does so at their own risk. By accessing the website, the user agrees to hold Extra Time Online and it's affiliates blameless against any claims for damages arising from any decisions that the user makes based on this information. Any and all vouchers or incentives that were issued with the purchased package can be viewed, alongside their respective terms and conditions, by logging into your account using the username and password contained herein. Signed documentation is required for membership packages to be activated for use. We ask that you aim to send back these signed documents within 14 days of receipt of confirmation. If after 8 weeks we have still not received the requisite signed documents the membership will be cancelled forthwith without recompense. Extra Time Online works with a multitude of agents, operators and marketers to ensure we achieve the most competitive prices for our clients. There are strict guidelines that we follow however to ensure that the holidays we booked for our clients meet our stringent guidelines on consumer protection and subsequently there are companies that we will not use however due to their lack of booking protection. Extra Time Online is a registered Travel Agent and a For-Sale-By-Owner advertising company that is not a real estate broker. You must be legally able to rent, exchange or sell the property(ies), or designated time period for the property you post for sale, exchange or rent on our web site. You must describe your unit accurately in your posting. We reserve the right to remove any information that does not belong on a page, or to otherwise limit a user's ability to post. If Extra Time Online initiates contact with our client and there is no response within seven (7) business days, Extra Time Online has the right to discontinue advertising, the ads will be put back up upon notification from the owner. Extra Time Online forwards all inquires about properties directly to the client, and allows the client to negotiate the rent, exchange or sale of a property without the involvement of any broker. During your membership period the owner has no contractual obligation to rent/sell their weeks during this membership period and Extra Time Online has no contractual obligation to sell or rent the week(s)/points in question. All properties listed on our web site are posted by the property owner or owners. Extra Time Online does not represent, or act, for either the buyer or the seller. We do act as an intermediary between the prospective parties to a transaction. Extra Time Online and its affiliates are not responsible for the content of any advertised property on our web site or the accuracy of the advertisements on the web site and assumes no responsibility for any inaccuracy or misrepresentation. Owners of the properties assume full responsibility for any and all properties offered for sale, for rent, or for exchange. An agreement to have a week(s) rented by Extra Time Online for an agreed fee constitutes an agreement that all maintenance will be up date at the time of the rental and the week(s) will have nothing to prevent guests of our choosing using the week(s) in the stead of the owners. Failure to keep up with maintenance payments or to otherwise prevent the rental from being taken by guests of our choosing after an agreed sum has been paid is in contravention of the original agreement and in such instances a refund of the original amount paid will be due to Extra Time Online. In the event that we rent a property all bank transfers to clients made by Extra Time Online are subject to a 5%(approx) charge that the client is liable to pay. This charge will be automatically deducted by the bank from the amount transferred by Extra Time Online to the client. We take every precaution to protect your personal information. We only allow access to the customer database when absolutely necessary, and then under strict guidelines as to what use may be made of such details. We may ask you for proof of identity before disclosing any personal information to you. We always aim to improve the services we offer. As a result we may occasionally canvas our customers using surveys. Participation in surveys is voluntary, and you are under no obligation to reply to any survey you might receive from us. Should you choose to do so, we will treat the information you provide with the same high standard of care as all other customer information. Accepting that which is established in the law General Data Protection 2016/679, we inform you that the data collected will be used for us to be able to comply with the service of reserving accommodation in holiday locations and holiday packages, as well as invoicing of them, the responsible company for this being Easy Consulting SL (CIF B53788626), Carrer Ametler Amarg 10, 03580 Alfaz del Pi, Alicante), telephone 0800 950 6230 and email info@extratimeonline.co.uk. The personal details which we collect will be stored for the amount of time necessary to be able to carry out the service contracted, and the responsible party for conserving these details reserves the right to conserve this data during the legal time limits laid out by law, thus for the necessary time for the attention or lodging of a complaint or legal action. The legal basis of the processing has its origin in the contractual treatment laid out between Easy Consulting and yourself by way of the commercial relation referred to in the reservation of hotel accommodation. We will not share your details other than in a way imposed by law. You have the right to exercise your legitimate right of access, rectification, cancellation, opposition, limitation or portability, for which you must apply in writing to Easy Consulting, either to the address aforementioned or by email. This message is intended for the main addressee only and may contain confidential information which by law may not be divulged. In case of having received this email erroneously, we ask that you communicate with us immediately by email (e-mail info@extratimeonline.co.uk) or by telephone 0800 950 6230 and that you eliminate it along with any attachments there may be. The distribution, copying or use of this message or of any attachment without authorisation is prohibited by law. Information contained in this web site is provided “as is” and without warranties of any kind either express or implied, including but not limited to, the implied warranty of merchant ability, fitness for a particular purpose or non-infringement. Extra Time Online does not warrant that the functions contained in the materials will be uninterrupted or free from errors, that defects will be corrected, or that this web site or the server that makes it available are free of viruses or other harmful components. Extra Time Online disclaims liability for and does not warrant or make any representations regarding the use or results of the use of materials in this web site in terms of their accuracy, reliability, or otherwise. We may operate a mailing list to send you information and promotions we have on offer. This mailing list currently operates as an 'opt in' mailing list whereby subscribers add themselves to the list. We only send emails to addresses which have been subscribed to the list, we do not 'spam'. 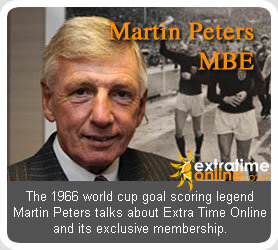 If you wish to unsubscribe from the list please e-mail us at info@extratimeonline.co.uk. We reserve the right to disclose your personal information to anyone who may take over the running of the Site or who may purchase any or all of our assets including your personal information. This promotion is administered by Extra Time Online. This promotion is not valid in conjunction with any other offer including special offers and last minute special offers and may not be used by any company or individual in anyway involved with its distribution. No claims will be honoured or acknowledged outside these terms and conditions. Extra Time Online has and will persevere to give optimum service by selecting and contracting high quality resorts, agents and suppliers for their standards and credibility. Extra Time Online reserves the right to substitute or provide alternative accommodation of a similar standard due to any unforeseen circumstances. When you purchase anything from us or give us any personal data we may need to collect information from you to process the transaction, fulfil your order and provide you with the services you expect then and in the future. This information may include, but is not limited to details such as your name, your address, your phone number and credit card details. This information will be kept secure and is bound by our confidentiality codes. This promotion applies to rentals of 7 days or more on the website https://www.extratimeonline.co.uk and cannot be used to redeem money off flights, car hire, travel insurance or discounts off any other promotions on website https://www.extratimeonline.co.uk or any other websites affiliated to Extra Time Online. This promotion entitles you to £50 off any rental on the website https://www.extratimeonline.co.uk all of the rentals therein are subject to availability and if you request a week that is unavailable we will do our utmost to find you similar suitable accommodation. This voucher is valid during your alloted membership period and only one voucher may be used per booking. This promotion is administered by the registered travel agent Extra Time Online and can solely be redeemed against Extra Time Online products. It cannot be used in conjunction with any other offer and may not be used by any company or individual in anyway involved with its distribution. Only one voucher allowed per holiday booking unless otherwise specified. This voucher in part entitles you to £50 off holidays on our website https://www.extratimeonline.co.uk and all of the holidays therein are subject to availability, if you request a week that is unavailable we do our utmost to find you similar suitable accommodation. This voucher in part entitles you to £20 off flights. Certain budget airlines will occasionally publish rates that this voucher cannot be used against but we will always endeavor to get you the cheapest price possible. The flights voucher must be used in conjunction with accommodation booked through Extra Time Online. This offer is provided and serviced by Extra Time Online. Please be aware no money will be taken until confirmation of resort and dates of travel are confirmed by both client and resort. All locations are subject to availability at the time of booking and are not guaranteed. In view of the fact that brochures are necessarily prepared in advance, if there are any changes made to the particulars of this brochure at any time before the contract with you is made, we will notify you of such changes before confirmation of your booking. This voucher holds no expiry date. Vouchers are issued free of charge but to redeem there is a charge of £79.99, £89.99 or £99.99 (dependant on season) per person based on a minimum of 4 sharing. This offer has been provided to you on a to be arranged basis. There are no qualifications, presentations or restrictions with this accommodation offer. Unless we have your express consent, we will only disclose personal data subject to the proviso that we may disclose your data to certain third parties such as members of our own group or our professional advisors who are bound by confidentiality codes and when we are legally obliged to disclose your data. If you do not wish us to keep your data, please inform us by calling freephone 0800 950 6230 and we will cancel or modify them according to your wishes. Vouchers are issued free of charge but to redeem there is a charge of £65 per person based on a minimum of 4 sharing. This offer has been provided to you on a ´to be arranged basis´. The Welcome Week carries a booking fee of £25 per person based on 4 sharing.